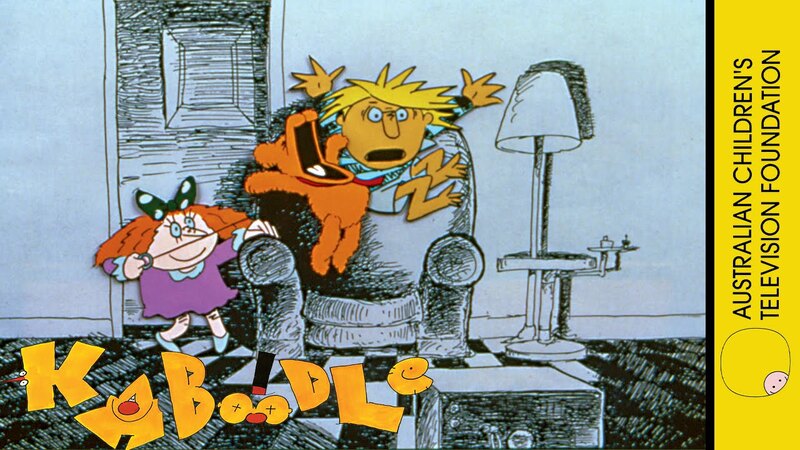 Kaboodle is an innovative anthology series. Each episode comprises multiple self-contained segments, ranging from drama to comedy, adventure and fantasy. Kaboodle - Series 2 includes animated stories, varying in length - from a few minutes, up to 24 minutes. Some stories are adaptations of popular children’s books. Many of the stories are suitable for early childhood. An innovative anthology series. Each episode comprises multiple self- contained segments, ranging from drama to comedy, adventure, and fantasy. All segments in Series 2 are animated. Kindly, old Mr. Snip is the hedge trimmer at a stately historic home. As the two pesky Wrottan children, Hamish and Penelope, discover, Mr. Snip’s leafy creations can come to life - with unexpected results. The children have adventures with clowns that swallow too much, a haunted house, a sea monster, an island of frisky animals, speeding trains and cars, a maze and man eating plants and reptiles that grow too large. Hamish and Penelope have lots of fun, but also get into lots of trouble. Luckily, Mr. Snip is always on hand to come to their rescue. Young Alexander Holmes and his trusty dog, Watson, combine their talents to solve mysteries around their neighborhood. There’s the mystery of the magic lamp; the mystery of disappearing animals at a circus; the mystery of ‘Chew-Goo’ - a sweet to stick noisy children’s teeth together; the mystery of the haunted woolshed; the mystery of the missing skater; and the mystery of Grandpa’s abduction by the ‘Gruff Granny Gang’. Elementary logic and a good nose are the keys to Holmes and Watson’s success. Whilst clearing the old barn, Elsie, Adam and their friends, Tom and Sarah, discover one of their grandfather’s old inventions. Powered by lemon juice, the machine transports the kids into the dream world of the child who pulls the switch. One by one, the kids, the family dog and Dad lead each other on exciting adventures of the imagination. They travel into Space, float on marshmallow clouds that rain bubblegum, play in a high-tech treehouse, meet a medieval knight and dragon and almost end up in the doghouse! Thank goodness for the magic yo-yo. Little Echidna finds herself stranded on the wrong side of the road. She and her new friend, Wombat - together with help from other familiar Australian bush animals - get into one hilarious scrape after the other, as they struggle to return Echidna to her home. Kookaburra wants Echidna to fly across the busy road, Platypus wants her to swim across the river, and Possum wants her to swing from branch to branch, to get to the other side. Even if little Echidna does get back home, will it be as wonderful as she remembers it?